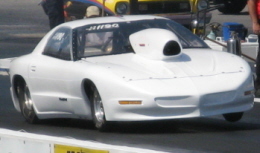 at Capitol Raceway on Sunday, July 28, 2013; after coming off a 4 way split on July 20th. We Congratulate JD and his team on an outstanding performance and final round victory. "Last Brother Standing" in a dragster in the gamblers race. We Congratulate Bruce on a great race. proved to him that it was the right decision. Matthew got down to the last 6 cars in the Gamblers Race earning him the title of "Last Brother Standing" in a Door Car in this event. for giving this young man the opportunity to sit in the driver's seat. Darryl got down to the last 11 cars; going 6 rounds in a 9 round race. We Congratulate Darryl on his outstanding performance. 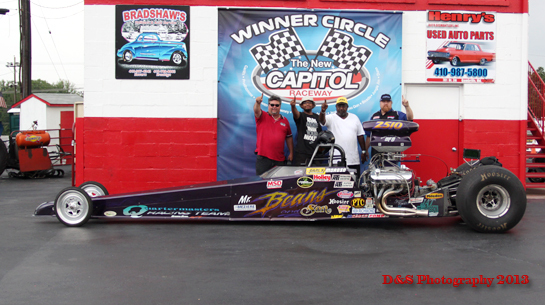 QMB would like to express a very special thank you to the Wiggins Family for their hospitality during our visit to Richmond Dragway on Saturday, July 27, 2013. They welcomed us with open arms and made sure that we had plenty of food and beverage while we were there. In other words that treated us like family and to us that means alot. Thank you Wiggins Family!